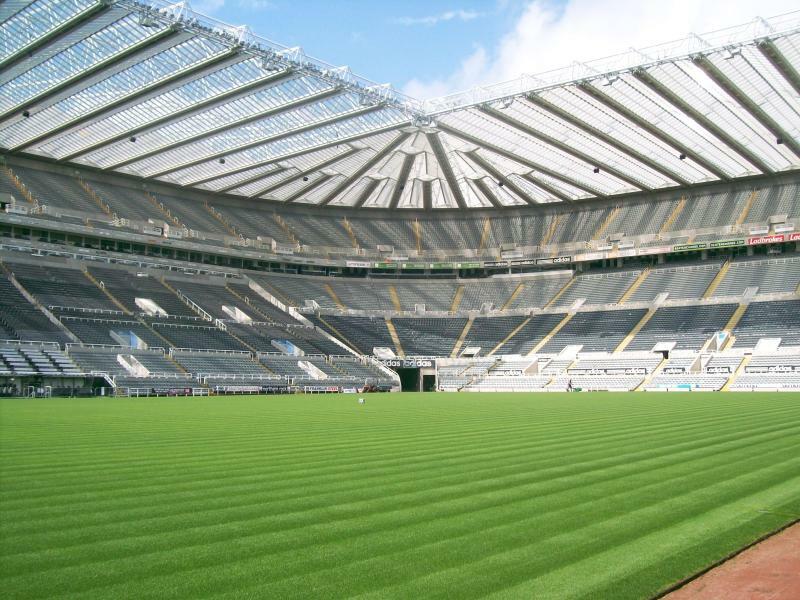 St James’ Park was first used for football in 1880, but was initially nothing more than a bare pitch. By the late 1890s, one small stand had been built, but it was the promotion of Newcastle to the First Division in 1898 that prompted the club to properly develop the ground. New terraces were built, which brought capacity to 30,000. It then only took five more years before another round of major reconstruction works was started. A new stand at the Barrack Road side and expanded terraces increased capacity to over 60,000. 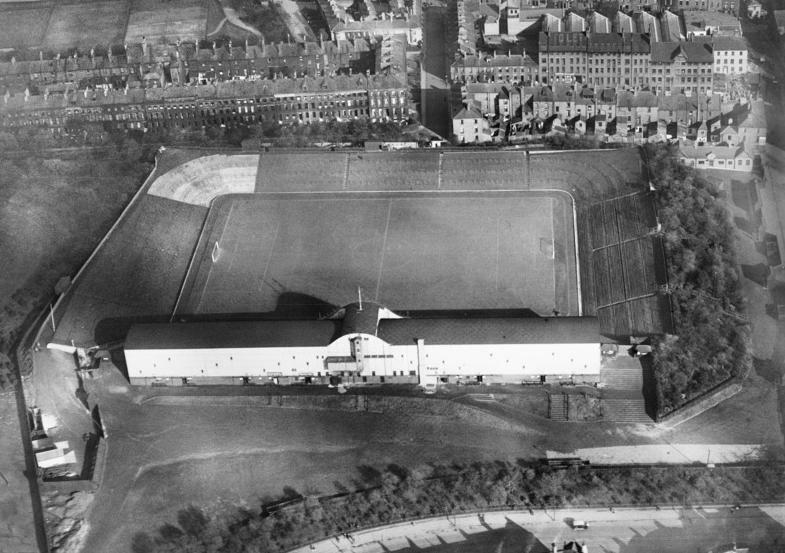 In the 1920s, Newcastle planned for an extensive redevelopment of St James’ Park with new stands designed by architect Archibald Leitch, but conflicts between the landlord (the city of Newcastle) and planners led to abandonment of the plans. 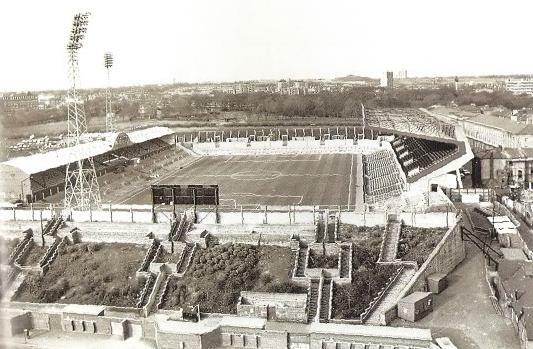 In 1930, St James’ Park recorded its highest attendance when 68,386 people visited a match between Newcastle and Chelsea. Further conflicts between the club and city led to more cancelled plans in the 1950s and 1960s, which also made Newcastle miss out on hosting matches during the 1966 World Cup. These were hosted by Middlesbrough’s Ayresome Park instead. In the early 1970s, the club finally reached agreement with the Newcastle city council, and in 1972 a new Leazes Terrace Stand opened. 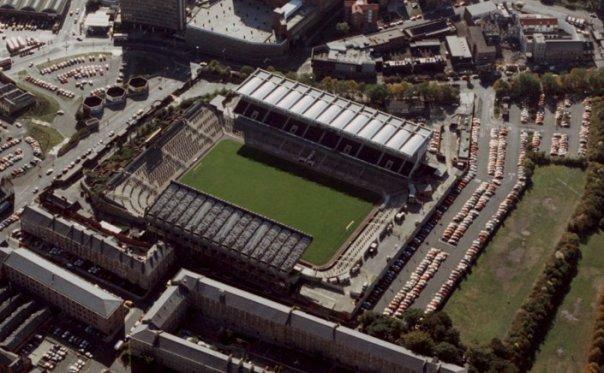 Works were to continue with the Leazes End, but relegation and a precarious financial situation ended hopes of further improvements. 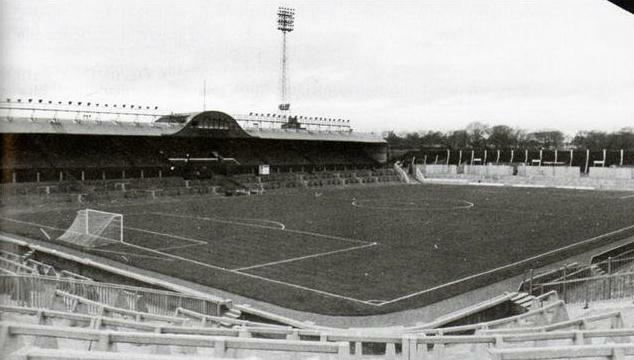 Safety requirements resulting from the Bradford fire made a replacement of the old West Stand necessary, and in 1987 a new stand, named Milburn Stand, opened. Further improvements were needed, but funding only came available after the takeover of the club by Sir John Hall in 1992. 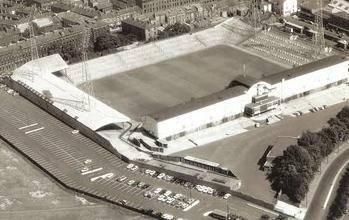 In only a few years three new stands got built, resulting in a bowl-shaped stadium with a capacity of 37,000 seats. 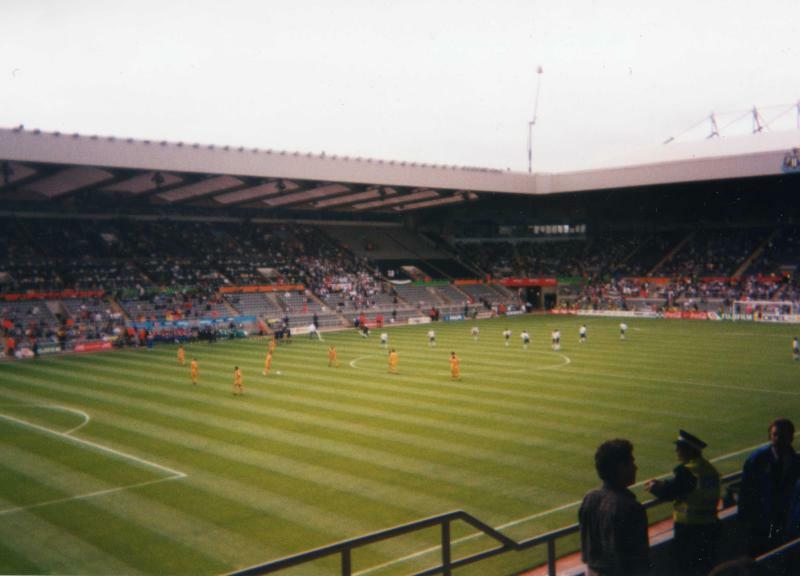 In 1996, St James’ Park was a playing venue of the Euro 1996 Championships, during which it hosted three group matches. 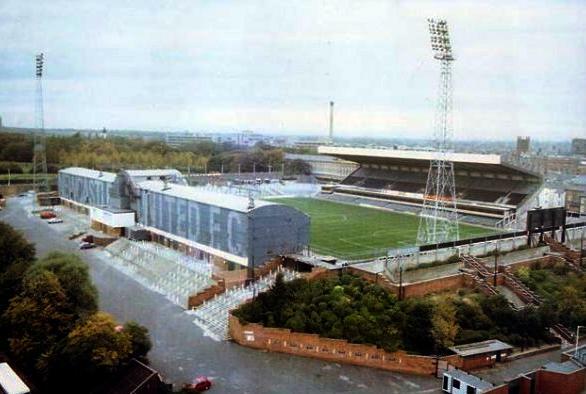 The increasing popularity of the club made further expansion necessary, and after plans to move to a new stadium had fallen through, instead was chosen to build a second tier on top of the Milburn and Leazes Stands. Works were completed in August 2000. The stadium now has the largest cantilever roof in Europe. 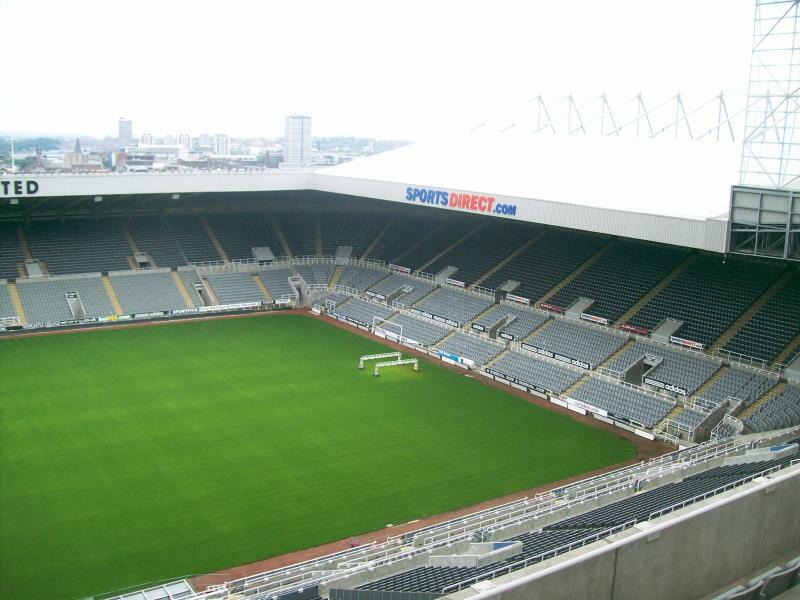 In 2011, St James’ Park was temporarily renamed Sports Direct Arena (after the company of club owner Mike Ashley), but the stadium referred back to its original name after new club sponsor Wonga bought the naming right. 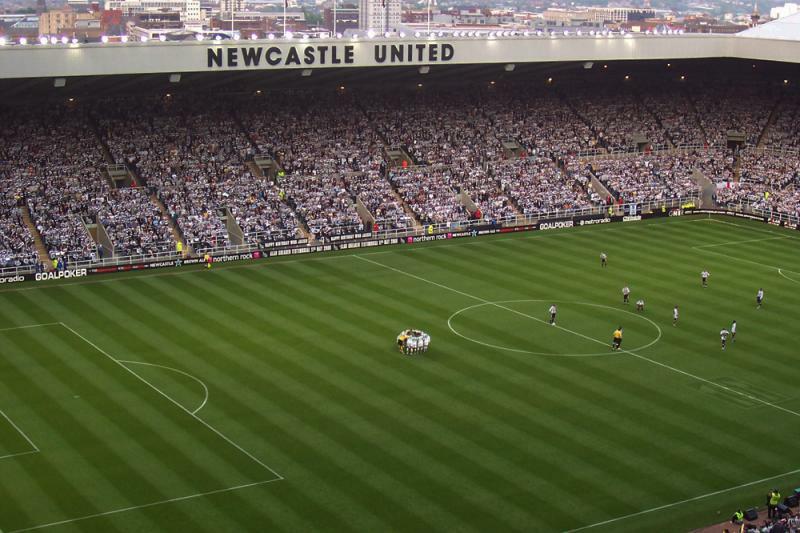 St James’ Park is located on the edge of Newcastle’s city centre, making it easy to reach by public transport. The stadium lies slightly towards the north-east of Newcastle’s centre and north of the main railway station, from where it is a 10-minute walk. On its northern side it borders Leazes Park. If arriving by car, follow directions to Newcastle’s city centre. The stadium is close to most city centre car parks, but due to its location it is advised to travel by public transport. St James’ Park is also served by metro (stop St James) if you arrive from elsewhere in the Newcastle region or Newcastle Airport. One of the great assets of St James’ Park is its central location right in Newcastle’s city centre. This means that there is a large variety of eating and drinking options in the surroundings of the stadium. This also means that there are a fair few hotels at close walking distance of the stadium. The excellent-rated Sandman Signature Hotel lies right next door, but there are various more toward the main railway station. The Holiday Inn Express, County Hotel, and Sleeperz Hotel are among the more affordable that get good reviews. For all hotels near St James’ Park click here, which shows you also all hotels in the city centre. Tickets for Newcastle United games can be bought online, by phone +44 (0) 844 372 1892, or at the official club stores at St James’ Park and the Metrocentre. 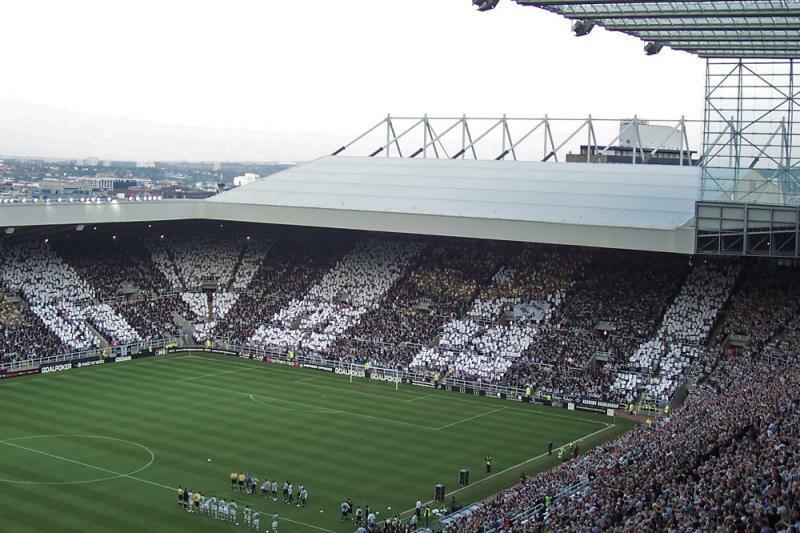 Newcastle tend to sell out a quarter to half of their home matches depending on how well the season is progressing. If not sold out, tickets can also be bought at the stadium ticket office right before the match. Ticket prices depend on the opponent. For a typical match most tickets for the ends cost £27.00 and those for the sides between £32.00 and £52.00. Prices are increased with about £15.00 for high-profile matches. Newcastle United offer guided stadium tours around St James’ Park that include the changing rooms, dugouts, players’ tunnel, and the media suite. Tours typically run every day at 11:30 am, 12:30 pm, and 2:00 pm, but the current schedule may differ. Booking in advance is recommended, but not required. Bookings can be made online or by phone +44 (0) 844 372 1892. Nufc.co.uk – Official website of Newcastle United FC. Newcastlegateshead.com – Official tourism website for Newcastle and Gateshead. Nexus.org.uk – Journey planner and Newcastle public transport information. Right, first things first, I am a Sunderland fan. A big SAFC fan. But, believe it or not, this ground is one of my favourite grounds that I did when I did the 117, but not higher than Wembley. The atmosphere was electric for the game, Manchester United won 4-0 in the game, and now I am going to mark out of 10 most general parts of the stadium. The Sports Direct Arena is a challenge. The two big stands are very impressive and extremely spaceish, however getting up there is a nightmare and I am an athlete!!! The designers done really well to get the old smaller stand to fit and create the bowl effect. The view from the gods I honestly thought wasn’t as bad as people made out until we scored and you could not tell at all who got it??? The atmosphere in here was nuts as it was derby day and the passion in the north east is second to none in English football. This ground is good, though with Mike Ashley and his Sports Direct brand the stadium is being tarnished.